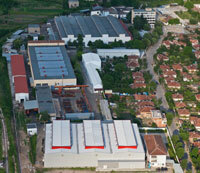 M+S Hydraulic PLC have been selected as National Champion representing Bulgaria in European Business Awards 2013/14. The company have officially been announced as one of the Europe’s brightest businesses actively demonstrating the core principles of the EBA: Success, Innovation and Ethics. During the first phase of the competition M+S Hydraulic PLC was entering in the following three categories: The Employer of the Year Award, The Award for Customer Focus, The Import/Export Award.